Most of us want to look good and feel even better. We wish to be fit and live a long active life but how many of us actually do something about it? 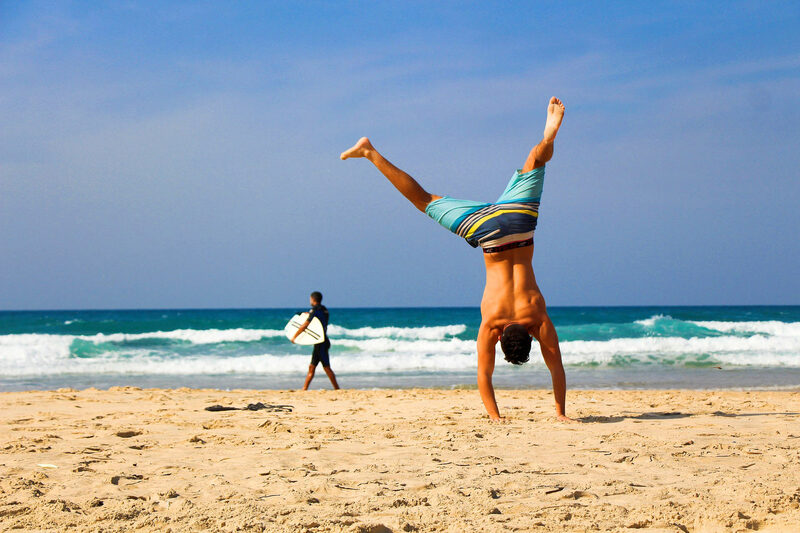 Is sport part of your everyday life? Do you drink enough water a day? Do you get proper sleep? Do you enjoy a healthy lifestyle? Our body is our temple and we should take care of it. If your health is out of order, everything else that’s going on in your life will be too. 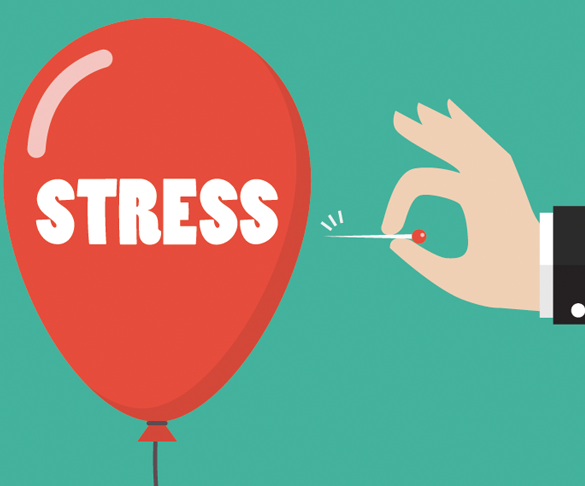 From small problems to major ones, they all have a negative effect on overall happiness and life satisfaction. 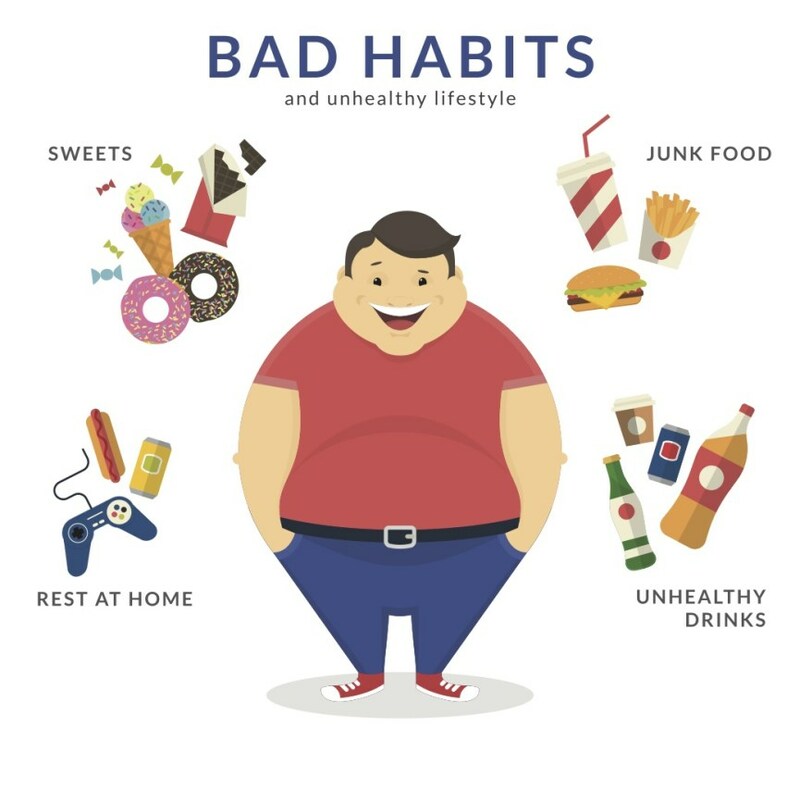 There are several things you can do to live a better and more enjoyable life, from following a healthy diet to having a regular exercise routine. The focus should be on living a life that you can be proud of, while also avoiding health problems or making the existing ones worse. In this article, I’ll share with you some tips and tricks towards a healthier lifestyle TODAY. Take a look through them and follow the steps to a happier, healthier you. We all know that drinking 2-3 liters of water a day has a lot of benefits for the organism. But why? As human beings, we need first and foremost water to survive. 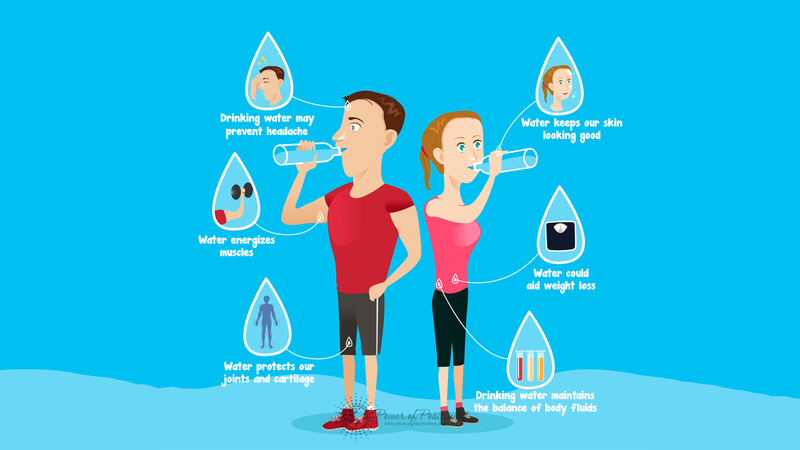 Our bodies consist of approximately 60% water, that’s why it’s important to stay hydrated in order for the organs to function right. The amount of water in the heart and brain is 63%, the lungs are 85%, muscles and kidneys are 79%, the skin is 64%, and the bones are around 31%. Furthermore, drinking water reduces hunger. Those who drank water half an hour before each meal lost 44% more weight over a period of 3 months. Sounds good? Given that your brain is mostly water, drinking enough of it helps you concentrate and stay focused. Moreover, water boosts your energy levels and reduces stress. Dehydration can trigger headaches and migraines in some people. A dehydration headache makes the brain contract and pull away from the skull due to fluid loss. Once rehydrated, the brain gets back to its normal state. Eating healthy isn’t always easy, but committing to a healthy diet can be one of the best decisions you’ll ever make. Why? Not only can eating well make you look and feel ways better, also it can also save money on future health costs. Nowadays, more than 2 billion people from around the world are overweight or suffer from obesity. This causes severe health problems and a rise in the death rate. But even if you’ve decided to change your eating habits, not knowing from where to start might be a bit challenging. To follow a healthy diet, you should get enough vitamins, and especially your micro and macronutrients. As they help sustain your body’s physiological processes, they’re the essentials of a healthy diet. 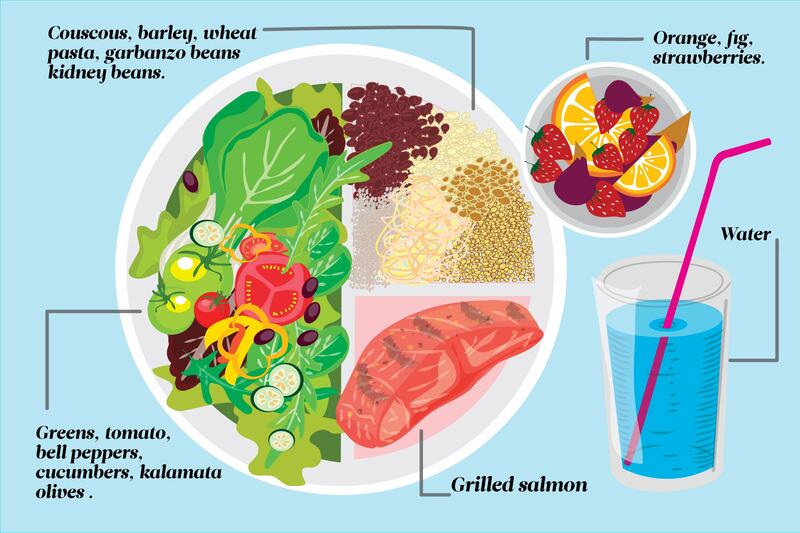 If you don’t know where to start, here are the basics of a healthy eating. Just as the Mediterranean diet, which is the world’s healthiest diet, yours should consist of plenty of fruits, whole grains, vegetables and monosaturated fats. Even though fish like salmon, sardines, and mackerel are high in fats, they’re rich in heart- and brain-healthy omega-3 fatty acids. Leaner fish such as cod that have less fat is a great source of protein too. Use olive oil to make salad dressings and vinaigrettes. Drizzle it to finish off dishes like fish or chicken to boost flavor. Olive oil contains monosaturated fats which may improve the good type of cholesterol (HDL), fight the free radical damage and improve heart health. If you’ve noticed that the greens in your diet lack, now’s the time to make them part of your meals. Snack on fruits, make a huge veggie salad for lunch or even make some green smoothies. It’s a great way to get your key nutrients and vitamins for the day. Eating well also means leaving out or rarely consuming foods that are high in added sugar, saturated fat, and also sodium. That includes most fast food, processed snacks and anything with too much sodium. Whether you play basketball, go for a morning run in the park or swim, playing sports can make you healthier and happier because of the physical activity involved. Playing sports develops our muscles, coordination improves cardiovascular health and has numerous other benefits associated with disease prevention. Exercise can help in preventing excess weight gain or help you maintaining weight loss. The more you engage in physical activity, the more you burn calories. The more intense the activity is, the more calories you burn. Regular physical activity has an impact on your brain because it releases various chemicals that make you feel happier and relaxed. You may also have better self-esteem because exercising keeps you fit and improves the skin condition. Having difficulties falling asleep? Regular physical activity can help you deepen your sleep. Just try not to workout right before bedtime as you may be too energized to fall asleep. Another possible reason for problems with falling asleep is the blue light. Blue light suppresses melatonin production for more than twice as long as other light wavelengths and has a bad influence on the cardiac rhythm. 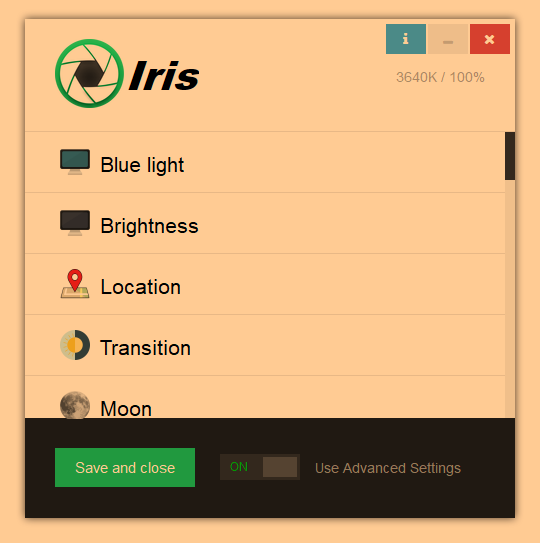 If you spend long hours in front of the computer, then you should install Iris application-software for eye protection. Iris will gradually regulate blue light day and night. As a result, your body will produce more melatonin at night. You will fall asleep faster and sleep deeper. Install now and give it a go.